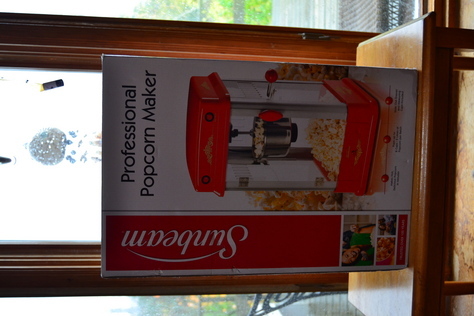 Sunbeam Popcorn Maker. Never used & still in the box. Has pivoting Kettle, removable stainless steel kettle. Can use gourmet or regular popping kernels. Asking $50.